When choosing a rehabilitation center, you have to consider several factors. At Rehab HC you can get licensed and reputable residential rehab facilities that can help you. When it comes to making a choice, doing research can help save your hard-earned money and heartbreak. You should know what to look for when searching for a rehab facility in London. Also, by knowing what to ask, you can accurately choose the best rehab facility that fits your needs. Rehab HC helps families to make the best choices as far as rehabilitation services are concerned. When a patient is admitted to a rehab center, he or she may be in a poor state of health. This is because intestinal issues that result from the use of drugs and opiates can cause malnutrition, brain disease, and anemia as a result of nutritional deficiencies. A patient may admit that substance addiction is causing severe physical, psychological, legal, and financial consequences to him or her. Unfortunately, he or she may be unable to break this cycle of dependency without help from others. Rehab HC includes nutritional support to aid the recovery and repair the patient’s deficiencies. A residential rehab facility has been found to be quite effective for addicts with severe drug addiction. This is because an addict submits to a well-structured program that focuses on positive integration into the society. London is an exciting and diverse city with some great sights, activities, and attractions. In fact, there is so much you can do in this part of the world. The city is also known for its luxurious hotels and nightlife. However, not all that glitters is gold. London has had its share of problems such as drug addiction. This is a disorder that affects many youths today. Most of them are using drugs extensively that may lead to dependency. This makes one vulnerable to relapse and also suffer from harmful side effects. Fortunately, several rehab facilities in London can be of great help. A reputable residential rehab center ought to provide continued support even after getting out of the rehab. This is a follow-up treatment a person gets after completing a drug rehab program. Rehab HC provides aftercare programs to help patients stay focused and prevent relapse after recovery. The program includes support groups and counseling. The good thing about aftercare programs from Rehab HC is that they are customized to meet the individual needs of a person. When teens are involved, special support is given to help them rebuild their self-esteem and connect with their loved ones. An effective drug addiction treatment begins with a detox program. In this case, both psychological and medical treatments are used in tandem plus group counseling to detoxify and educate the patient. The experts in the facility will teach the patient how to avoid relapse. A program with detoxification, nutritional, and other useful techniques can alleviate cravings. Thus, an addict has a great ability to focus on becoming sober and recollecting his or her life. 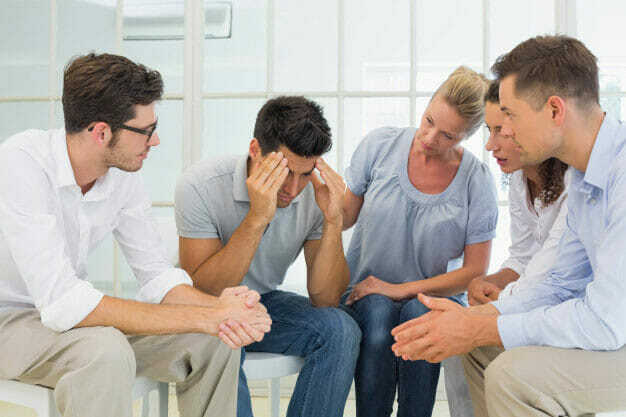 Several patients have passed through one of our rehab centres, and most of them have achieved lasting abstinent recovery from drug addictions, behavioral addictions, and alcohol addictions. We have a professional team of nurses, therapists, counselors, doctors, and psychiatrists who work tirelessly to help addicts regain their life and experience serenity, love, and happiness. If you have a drug addiction problem, give us a call today 0330-113-2627.